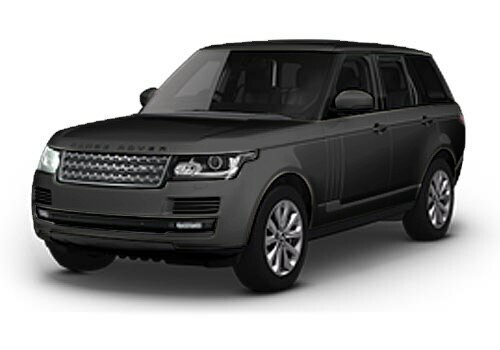 One of the most anticipated vehicles 2013 Range Rover is finally here in India launched at Mumbai with a price of Rs. 1.72 crore. This SUV is launched in about three variants such as The Vogue SE, Autobiography and the top end Autobiography petrol. The Range Rover price starts at Rs. 1.72 crore (Vogue SE) and it goes up to Rs. 1.84 crore (for Autobiography petrol), which is very expensive. According to the jaguar cars, the newly launched Range Rover is the first ever car with all-aluminum monocoque and also claims to be the largest body panel among automotives. The body shell of this vehicle is lighter of just about 400Kg that indeed enhances the pickup and acceleration of the vehicle along with fuel efficiency. The company claims that the cabin space is improved that provides better comforts for the rear seat passengers. The wheelbase of the car is also increased to 40mm, which is more than the previous model. Good news is that the legroom space of the middle row has been increased to about 118mm, which will enhance the lavishness of the SUV. When it comes to the ground clearance, it has gone up by 18mm compared to its previous version, which makes it one of the most formidable SUVs in the markets with a lot of efficiency. The new Range Rover Features include all the top end features that define the luxury and lavishness of an SUV. The company has once again proved itself that it is the maker of best luxury vehicles in the world by launching the 2013 Range Rover. It has got the all new Terrain Response 2 System in the auto setting, which indeed regulates the suspension system depending upon the terrain it travels. Now, the engine of this vehicle is power by 8 cylinder engine that makes superior power and torque for a better pickup or acceleration. As far as Range Rover Pictures are concerned, the appearance is just awesome as ever. Although, the entire body design just appears like previous model, it has got something new look that simply catches the eyes in the first impression. Two of its variants are powered by 4.4 liter diesel engine and the top end variant is powered by 5.0 liter petrol engine that gives the actual pleasure of driving. The price of this vehicle is considerably expensive for Indian markets but look at the features and specifications of the SUV that makes you thrive for the vehicle. moreover, it is coming with high quality body panel that is simply the best in automotive segment.